I have a page devoted to cycling around Tucson. 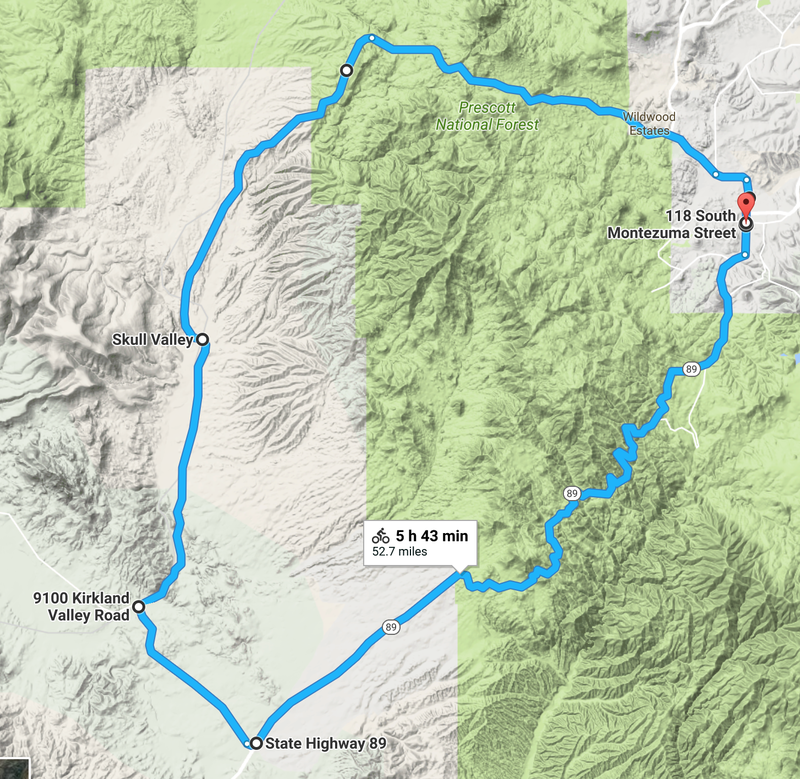 The best-known loop in the Prescott area is the Skull Valley Loop, which is 52.6 miles with about 3,553′ of climbing. While never dramatic or particularly steep, it goes through some pretty country. It’s a very easy loop to follow, with very few decisions to make. Start in downtown Prescott, at the corner of Montezuma & West Gurley, by Courthouse Square. Head north on Montezuma and follow it as it turns west and becomes Whipple St then Iron Springs Rd. The first 3 miles are built up and commercial, then you enter the countryside. After some initial climbing you do a long, long descent into a wide-open valley covered with small bushes and dotted with rocks and boulders. After 19.5 miles you reach the small village of Skull Valley, then after 26.4 miles you reach a Stop sign and T-junction. Turn left here onto Kirkland Valley Rd, then after 30.8 miles you reach another Stop sign and T-junction. Turn left onto Hwy 89. Keep riding up the gentle hill until at about mile 37 you start climbing the lovely mountain curves. 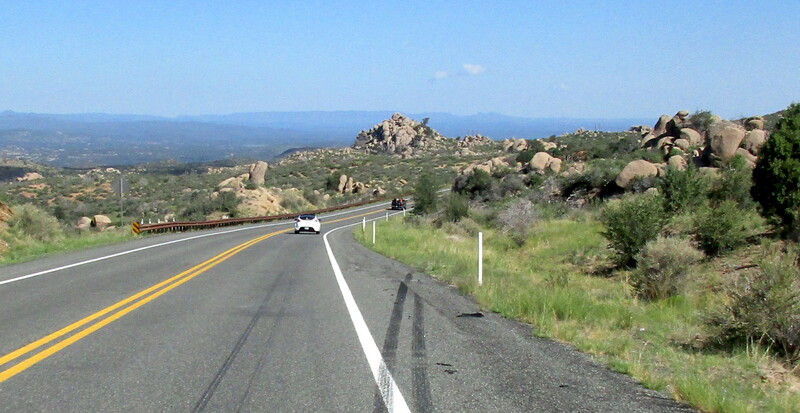 Eventually the road starts rolling, but still mainly climbing until you finally reach the downhill back into Prescott at around 48 miles. Follow the road as it becomes White Spar Rd then Montezuma St.